Milkshake - The base of the milkshake from ice cream or milk. Flavor is added as a syrup or from fresh fruit. 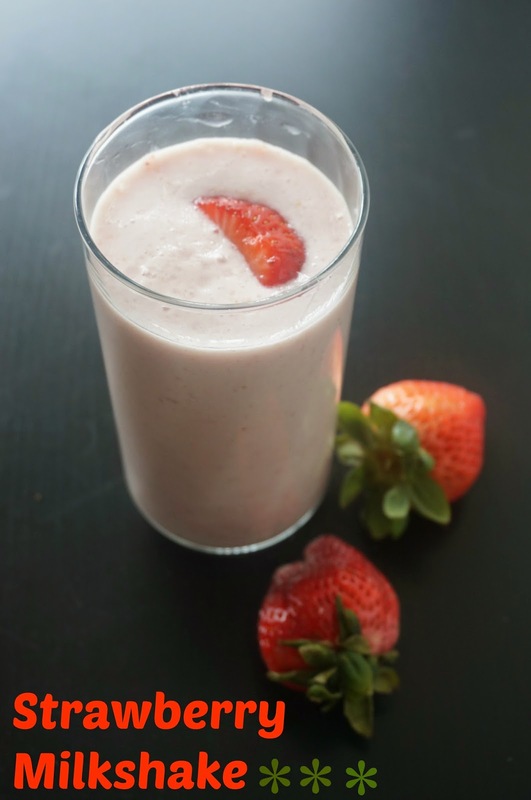 Put milk strawberry and sugar in a blender . Blend it in to Coarse paste. Now add milk and blend as frothy and smooth. Pour into serving glass and serve chill.